Analysts spend a disproportionate amount of time with financial data curation before they are able to compare company performances in an analysis. The Extensible Business Reporting Language (XBRL) for annotating financial facts is suited for automatic processing to increase information quality in financial analytics. Still, XBRL does not solve the problem of data integration as required for a holistic view on companies. 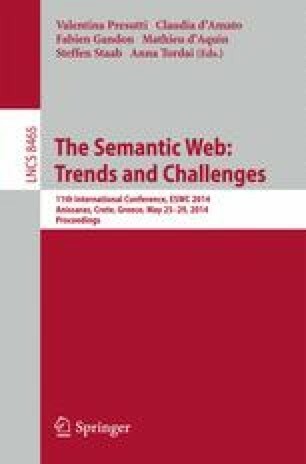 Semantic Web technologies promise benefits for financial data integration, yet, existing literature lacks concrete case studies. In this paper, we present the Financial Information Observation System (FIOS) that uses Linked Data and multidimensional modelling based on the RDF Data Cube Vocabulary for accessing and representing relevant financial data. FIOS fulfils the information seeking mantra of “overview first, zoom and filter, then details on demand”, integrates yearly and quarterly balance sheets, daily stock quotes as well as company and industry background information and helps analysts creating their own analyses with Excel-like functionality.